Brush Wizard: Joining the Battle Against the Darkspace Calamity! I figured I could assemble them and take them to my friends or my cousins and teach them to play without the need of them buying their own cadres. Of course, life is a fluid thing and plans never work out the way I figure they will. That said, the Relic Knights models have sat on the shelf ever since. Quite a shame, really. Adepticon was last month and it seemed all the #warmongers were talking about it, there were Painting Workshops,the Crystal Brush Painting Comp, Warhammer 40k game tables, Hordes tables and Soda Pop was there in force with Super Dungeon Explore and Relic Knights. Not to mention, there had to been a lot more stuff that I couldn't see via the window of Twitter. That got me thinking. Not only is there a booth for Soda Pop, lots of seminars on painting and a painting competition. But there is a place that I can go and get my wargaming on! Not to mention, meet up with a bunch of #warmongers and chat in person. This means I need to build up some travel forces to take with me and wargame. So, I started digging into my Relic Knights factions and deciding which of the four I wanted to play as. Each has their own pluses and minuses and their own look and feel, but there can be only one! It's time to choose my faction! Which will it be? - The mercs of the Black Diamond Corps? - The speed junkies that make up the Cerci Speed Circuit? - The student mages of the Doctrine? - Or the demonic brutes of the Noh Empire? 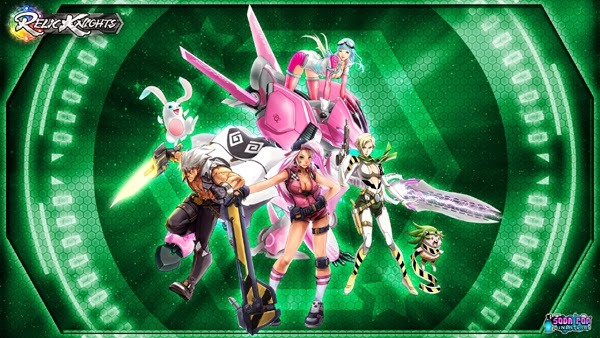 Out of all of the factions in Relic Knights, these four stood out to me the most. And out of all four of them I picked up everything that was offered for them, except the Noh Empire. Unfortunately for Noh Empire since I don't have all the models from the Kickstarter, they auto lost. I want to get the ball rolling with a minimal amount of additional purchases. Doctrine, while I like the look of the models (especially Kisa & her Relic), didn't grab me enough to make me want to dedicate myself to tourney play and I've decided to let them sit for the time being. That brings us down to 2 factions: Black Diamond and Cerci Speed Circuit. Cerci was my main reason for backing the Relic Knights Kickstarter in the first place. I actually own a metal version of Princess Malya and her Relic too, which will eventually be made into a display piece. The Cerci racers are a bunch of fast driving adrenaline junkies. Think Fast and Furious on jet bikes, which leads me to dream of sweet artwork that I could do to them. I love the idea of them, but at the same time I'm always drawn to the squishy factions and I worry that they will be soft targets. I do like the idea of a biker gang list with Suicide Queen and her Helles' Belles and trying hit and run tactics. I also like Rinn, especially her Darkspace version, and the idea of a sniper plinking away at targets. The problem with Cerci, from what I've read so far, is that they are not only squishy but also lack damage output? I've heard horror stories of Cerci being unable to kill enemies, thus unable to get past enemies that are blocking objectives. I'd be fine with glass cannons, but when you're squishy and a soft hitter it's not very fun for me. I decided on Black Diamond for my KS rewards after I had chosen Cerci Speed Circuit. But these guys were an instant 2nd choice for sure. I'd say that both of them are tied for 1st place when it comes to my favorite factions, based on flavor. The Black Diamond Corps screams police force to me and are full on futuristic military. They have rank and file soldiers and elites in power armor. They have a drone mini-tank and even some ninjas! But best of all, thanks to the Darkspace models, they have Iron Chef dressed as Solid Snake. Black Diamond seems to focus more on squad gameplay with an emphasis on ranged combat. There are a few close range fighters, like Suspect 7. They seem to juggle their troops a lot with the Linked ability, which means I'd be playing with rotating my queue a lot more often than normal too. Right now, I'm leaning toward Black Diamond and I have Sophia Drake on her way as I write this. But I really need to see how the Linked ability works and decide if running a queue shuffling list is what I'm looking for. Now comes the time to decide, because which ever I choose, that's the one I'll be painting first. I guess what needs to happen is a mock up game. So I'll need to take both factions and pit them againts either Doctrine or Noh and see how they handle. Of course, I have no wargaming friends, so I'd have to run both groups myself. But I did it in order to teach myself how to run Super Dungeon Explore, I guess I can do it to learn Relic Knights as well.